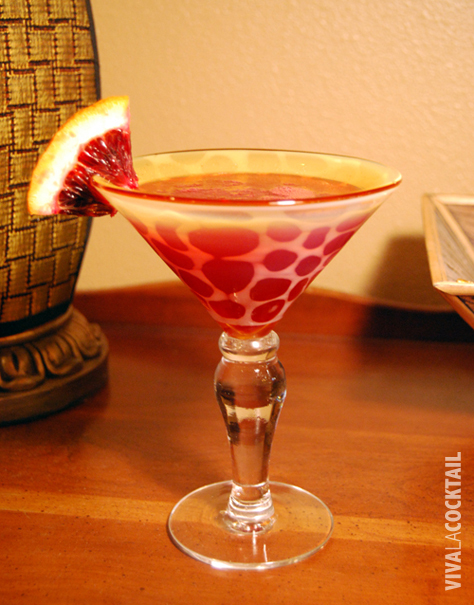 The Mandarin Sky is a great winter cocktail since blood oranges are in season. And yes, you must use FRESH blood oranges—not the bottled juice. Please read the Viva la Cocktail Welcome page so you understand my thoughts on this. It’s a little more work, but you’ll enjoy your drinks more. This cocktail is a little tart based on the recipe below, but I think the balance is just right. You can always add a little more simple syrup if you like your drinks a little sweeter. Fill a shaker with ice. Add the vodka, Cointreau, juices and simple syrup. Cap the shaker and shake vigorously for 15-20 seconds. 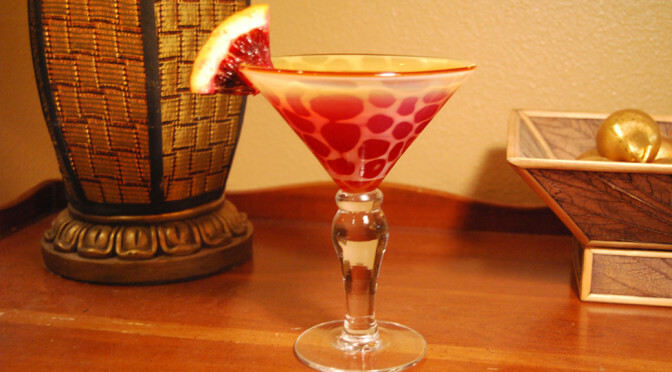 Strain into a 10 oz chilled martini glass and garnish with a quarter slice of blood orange. Tip: If you are making this drink for a group, it is a good idea to juice your oranges ahead of time and store it in the fridge. I use a Cuisinart electric juicer which saves a lot of hand work.